I’ve been Daniel Galvin Junior’d. It’s quite an experience. There is indeed something mystical about a woman’s hair. You colour it, style it and make it good for her and suddenly she’s a goddess and can conquer the world with a sassy attitude to boot. There’s no greater gift to a woman than the confidence this brings (bar losing weight unexpectedly) and a great colourist and stylist is God sent. 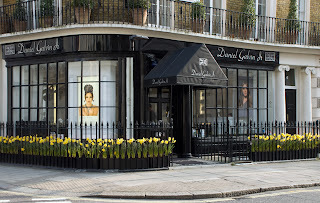 Readers, Daniel Galvin Junior’s salon in a chi-chi sophisti-street in the quiet end of Knightsbridge bordering Belgravia is the paragon of ‘all things good re hair’. So, when I received the call that I was to be Daniel Galvin Junior’d, I almost wept with delight. (I should point out that other journalist friends visit the salon regularly and I have been more than a tad enviousness. It’s not attractive, I know. But there we are. Regular hair traumas do that to a girl). 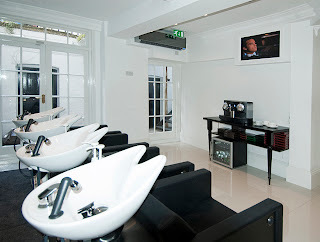 If there’s ‘a man who can’ re hair, who’s team of professional hair seraphim can work magic on the elite, the choosy and the desperate for a change, then they are to be found in West Halkin Street, regularly weaving their wonders. To begin with, there’s the salon’s arch calmness. Intimate enough to not make you feel processed yet just large enough to give personal space, white and filled with light, this corner location of centred stillness is more akin to a spa experience than a hair salon. The friendly, in control staff move in confident, professional strides where the customer is never in doubt that she is the sole focus of their attention. This is all about making you feel the best you’ll ever feel, giving you the advice and the style they can see in you but you can’t quite envisage. And where you are treated like a celebrity. In short, sheer bliss. ‘Leave your (hair) cares at the door and we’ll sort them out for you,‘ they seem to ooze. Oh, and they do. I arrived, quite pleased with my (self) coloured dark red hair but in vast need of a touch up. The grey roots need to be kept at bay. It’s like fighting back the tide. Add to that my mass of Pre Raph naturally curly hair and my life has now become hair-centric to the point of unbelievable. With the onset of London Fashion Week and numerous high profile shows to attend (some even front row), I needed help and fast. The Daniel Galvin Junior call never came at a better time. On arrival, I had an initial consultation with the wonderful senior colourist, Olyvia, who examined my hair and decided that my roots needed lightening but that this would show up the darkness of the ends of my red hair. So, while Olyvia applied the new colour to the roots, great care was taken to try to remove as much colour as possible from the ends of my hair and to level this out. It was a careful process but happily the darkness was removed from the ends in order that we achieve some sort of hair karmic balance. I felt in safe hands. This is a major point. Trust. 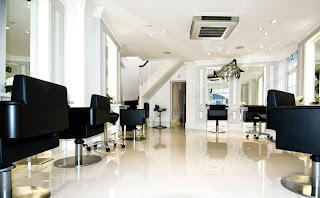 At no point in the salon visit did I ever doubt the colourist and stylist as they exuded such skilled professionalism. This, of course, all starts from the top. Daniel made a point of introducing himself and making sure I was being looked after, carefully checking up on the progress my hair was making. 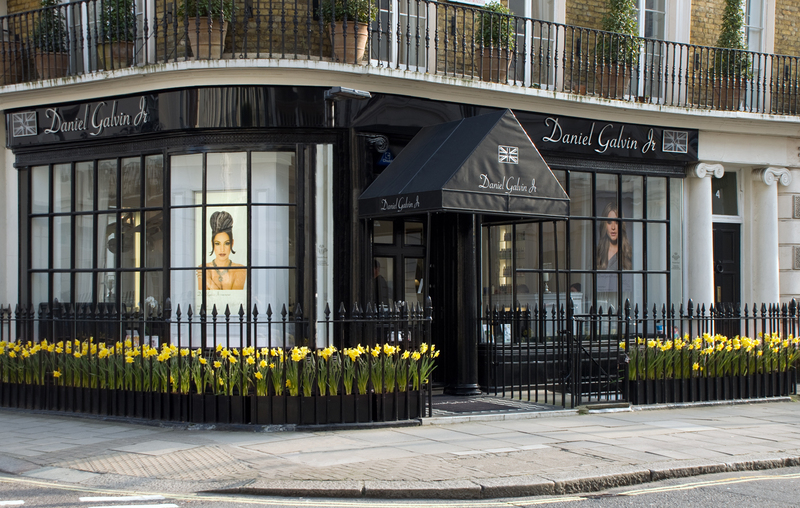 I then received a Daniel Galvin Junior bespoke detox spa treatment (popular with Kelly Brook et al, so get me) which is a 100% organic treatment that boots dry, damaged and over processed hair leaving it smoother, shinier and brighter, to enhance colour. This beauty boosting cocktail features a combination of strengthening Keratin, anti-oxidant Vitamin C, cider vinegar and paraben-free nourishing argan oil – in short, a bespoke formula high protein detox mask that takes around an hour to glorious Hollywood type hair. The antioxidant cocktail is applied for 7-10 minutes to cleanse hair of all impurities. Cuticles opened, the vitamin C detoxes the hair before its cleansed and towel-dried. Then. a high keratin & argan oil mask is massaged onto the scalp and you sit under a steamer for 20-30 minutes for this to work before being washed again. As a bespoke salon professional service, I learned that the strength of the detox formula (like colour) differs from client to client. The client can even receive a bottle to take home. This finished, I was then colour-washed to add shine and additional vibrance to my hair and to keep the colour glossy. It was a very in-depth salon appointment. Then, senior stylist Joseph worked his magic. As my hair is nearly all the one length, I just needed a good trim to keep things in order and Joseph began to style my hair. I wanted sleek, styled, big New York hair and I got exactly that. Throughout London Fashion Week, I was regularly complimented on the new lighter, brighter red hair colour and the sleek style and when that included other hair stylists, that’s quite an achievement. (NB. I have decided I may need a hair stylist on call at all times. I just now need that Lottery win). All I had to do was pray for no rain on leaving the salon. Already touched by magic, the Gods were on my side. My thanks go to Daniel, Olyvia and Joseph (pictured above) who made me feel like a million dollars pre LFW.